When talking about award travel, it’s easy to focus on earning points and miles and lose sight of the actual traveling. Today, however, TPG Senior Points and Miles Correspondent Jason Steele offers a detailed analysis of how you can use your travel rewards to get somewhere practically everyone wants to be, Hawaii! Hawaii is a wildly popular destination, yet I actually found it underrated when I visited for the first time. Being surrounded by such exotic beauty while still being “at home” in the United States is incredible. At the same time, Hawaii’s popularity (and remoteness) makes flying and staying there expensive. For these reasons, Hawaii is especially well-suited for award travel, so today I want to look at travel rewards credit card combinations that would allow a couple to visit the islands while eliminating (or at least minimizing) their air and hotel expenses. The goal is to earn enough points and miles for two round-trip award flights and a minimum of four hotel nights by signing up for two credit cards each (four total). Most travelers will want to stay longer than four nights, but that’s at least a good start and a reasonable benchmark. For just 25,000 Avios you can fly to Hawaii from the West Coast on American, Alaska, or US Airways. One Chase Ink Plus card for each traveler. The standard offer for this card is 50,000 Ultimate Reward points after spending $5,000 within three months. The $95 annual fee is waived for the first year. However, you may still be able to get an increased offer for 70,000 points at your local Chase branch. In that case, the annual fee is not waived for the first year. One Hyatt Credit Card from Chase for each traveler. This card comes with two free nights at any Hyatt hotel after you spend $2,000 within three months. There is a$75 annual fee for this card. After spending a total of $12,000 to earn the bonuses and paying $190 in annual fees (if you get the 70,000 offers for the Ink Plus), you’ll have at least 150,000 Ultimate Rewards points and four free nights at some of the top resorts in Hawaii, including the Andaz Maui at Wailea, Hyatt Regency Maui, Grand Hyatt Kauai, and the Hyatt Regency Waikiki Beach. Transferring 50,000 Ultimate Rewards points to British Airways will be enough for two economy class tickets on non-stop flights from the West Coast, leaving 100,000 Ultimate Rewards points left. These points could be used to upgrade the airline awards to first class, or for another four hotel nights. And with the complimentary Discoverist status offered by the Hyatt credit card, you’ll get room upgrades, late checkout privileges, and free Internet. 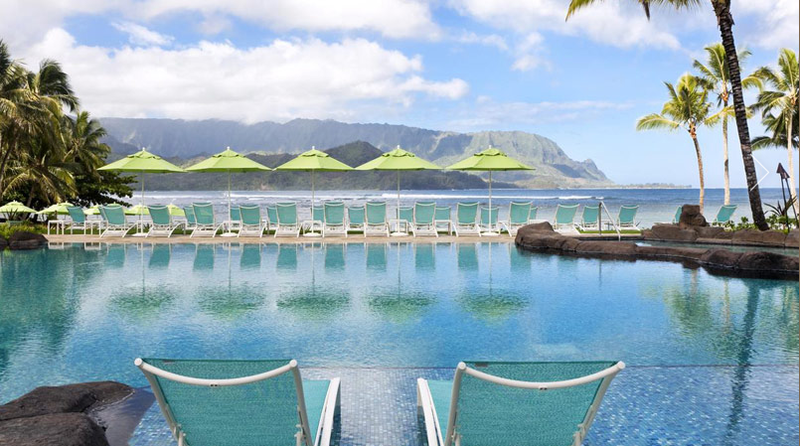 The St. Regis Princeville on Kauai is more expensive than other Starwood properties, but worth every point. One Starwood Preferred Guest card from American Express (for each traveler). This card offers 10,000 Starpoints after the first purchase, and another 15,000 after you spend $5,000 within six months. There’s a $65 annual fee that is waived the first year. One Chase Ink Plus card from Chase. As described above, your local Chase branch may have an offer for 70,000 points after spending $5,000 within three months. The $95 annual fee is not waived. One Barclaycard Arrival Plus World Elite Mastercard. New cardholders receive 50,000 miles after spending $3,000 within 90 days, which is worth up to $500 in travel statement credits. There is an $89 annual fee for this card that is waived the first year. After spending $18,000 within six month (admittedly a high bar for some, though you don’t necessarily have to get all of the cards at once), you’ll have a combined total of 60,000 Starpoints, 75,000 Ultimate Rewards points, and over $500 worth of Arrival miles. You could use your Starpoints for as many as seven nights at the Sheraton Kona, six nights at the Sheraton Kauai and the Sheraton Princess Kaiulani in Honolulu in low season, or be just 4,000 Starpoints short of five award nights during the high season. Another option is to go the cash and points route at a Category 6 hotel, which would require 10,000 points per night plus $180, if available. The statement credits from the Barclaycard Arrival would cover $500 of the $720 needed for four nights, and leave 20,000 valuable Starpoints left over. As for flights, there are numerous options for travel to Hawaii among the Ultimate Rewards transfer partners, including Singapore awards on United and Virgin Atlantic awards on Delta or Hawaiian for for 40,000 miles each. Whenever Korean returns as a transfer partner (hopefully), it should be possible to redeem awards to Hawaii on Delta next April for only 25,000 miles round-trip. You can fly first class on United for less using Singapore Krisflyer miles. One Chase Ink Plus card for each traveler. Signing up at the branch will give you the offer of 70,000 points each after spending $5,000 within three months. There is a $95 annual fee for this card that is not waived the first year. One Barclaycard Arrival Plus for each traveler. New cardholders receive 50,000 miles after spending $3,000 within 90 days, worth $500 in travel statement credits. There is an $89 annual fee for this card that is waived the first year. After spending $18,000, you’d have at least 150,000 Ultimate Rewards points, which can be transferred to Singapore Airlines for 60,000 mile first class awards on United. You’d then have 30,000 Ultimate Rewards points left, plus over $1,000 in travel statement credits, which can go a long way toward hotels. By avoiding the largest resorts during the peak season, $1,000 is more than enough for four hotel nights, and the 30,000 Ultimate Rewards points are worth $375 toward hotels, car rentals, and even activities. The free Hyatt nights and distance-based flights give the West Coaster the edge, even if you live elsewhere. The Starwood Surfer plan is a good deal, but is crippled by the limited sign-up bonus of the Starwood card compared to others. While 25,000 Starpoints is nice, this is really a card you get to earn points for general spending and to utilize its mileage transfer partners. 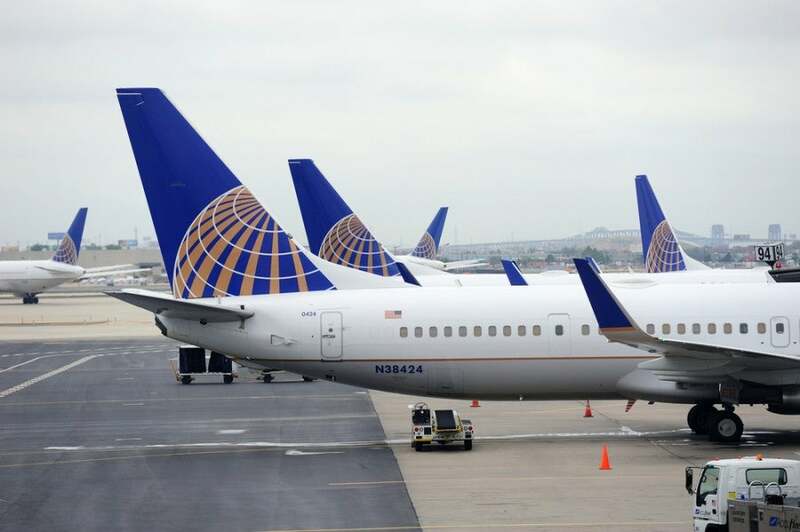 The Frugal First Class flier is probably the way to go for residents of most of the country, provided you plan far enough in advance to find two first class seats on United at the saver level using Singapore Krisflyer miles. In searching for ways to use the Barclaycard Arrival Plus miles, I found plenty of nice hotels with rooms in the $200 to $300 range, so long as you stay away from the premium resorts. However, the West Coaster plan is so attractive that even those from the rest of the country will find tremendous value in it. There are three different BA partners serving several different islands non-stop from many different west coast gateways. American tends to have excellent domestic award availability, and even Alaska Airlines flights from Alaska and US Airways flights from Phoenix are within the 3,000 mile cutoff. You could use the extra Ultimate Rewards points on inexpensive Southwest Airlines flights to position yourself on the West Coast, or find saver level awards for 45,000 miles round trip on United. In addition, staying at the amazing Andaz Maui is a great use of the free night awards from the Hyatt certificates. Since these award nights there are normally 25,000 points, this card combo offers as much as eight total award nights at the top Hyatt properties in Hawaii! But don’t take my word for it, ask my parents. They took my advice earlier this year, got these cards, and had an amazing time spending eight nights in Hawaii as an add-on to their LA trip. What’s your dream Hawaiian award vacation?